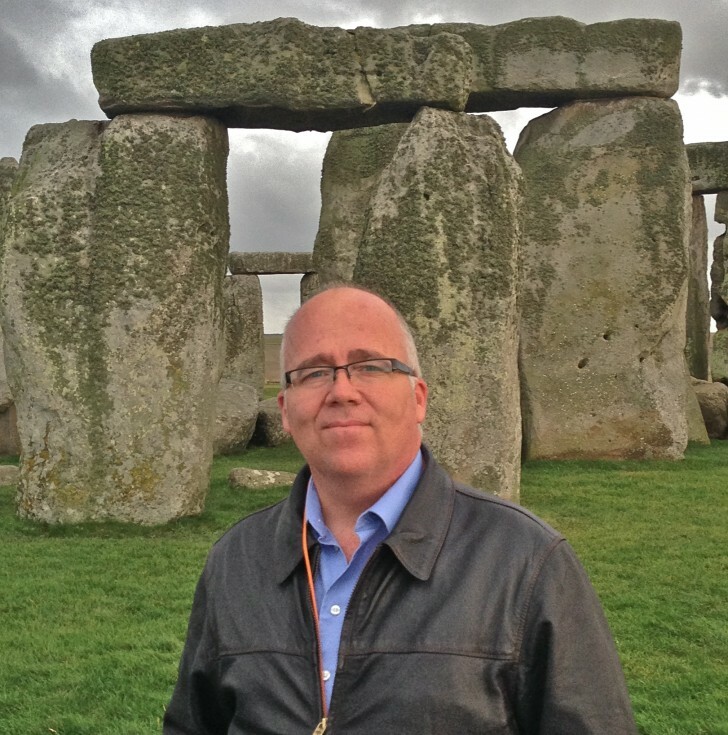 As I’ve mentioned in previous columns, I’m a treasure hunter–of historical artifacts. I am particularly interested in early Church history. A few months ago I spent several hours combing through stacks of letters that were written between Phebe and Wilford Woodruff. This large group of letters had been recently acquired from descendants of Wilford Woodruff. I was both fascinated and intrigued by the content of these letters. It seemed as if each letter filled in a missing piece or clarified familiar stories in Church history. I was especially interested to learn mo re about Wilford Woodruff’s wife Phebe. I first heard the name “Phebe W. Carter [Woodruff]” when I watched the Church video Mountain of the Lord  many years ago. There’s a scene in the movie that shows Wilford Woodruff walking along a dirt road in Kirtland. While he is walking, he hears the angelic voice of a woman [Phebe W. Carter] singing a hymn. Wilford Woodruff soon joins in. This surprises Phebe and she opens her second-story window to find out who is singing along . It was Wilford Woodruff. They were soon properly introduced and after a “lengthy” courtship of 2 1/2 months they were married. Although the history of Wilford Woodruff is quite well known, fewer know the story of Phebe W. Carter and how she made her way to Kirtland in the first place. She truly was a remarkable woman of faith and courage. 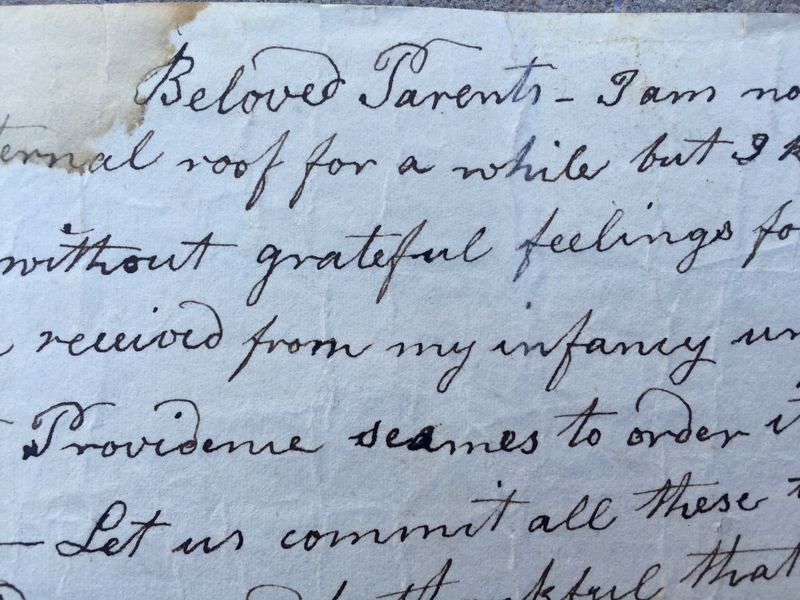 So, imagine my delight when, while reading through that stack of letters, I come across a letter that began, “Dear Parents, I am now about to leave my paternal roof for a while…“. As I read the letter I realized that it wasn’t just any letter– it was the very letter that Phebe referred to in her autobiography–the one that she hastily penned and left on a table before leaving home. The contents of her letter have remained unpublished for the past 180 years. I feel that the inspired counsel that she imparted to her parents and siblings can benefit each of us. For this reason I have decided to publish the complete contents of her letter for the first time. Beloved Parents — I am now about to leave my paternal roof for a while but I know not how long — but not without grateful feelings for the kindness which I have received from my infancy untill the present time–but Providence seames to order it otherwise now than it has been — Let us commit all these things into the hands of Providence and be thankful that we have been permitted to live together so long under so favourable circumstances as we have, believing that all things will work for our good if we love God supremely–Let us realize that we can pray to one God who will hear the sincere prayers of all his creatures and give us that which is best for us — May we strive to have that spirit in us that raised Christ from the dead that our mortal bodies may be quickened and come forth in the morn of the first resurrection to reign with Christ a thousand years where parting will be no more–Glorious thought may it ever stimulate us to be diligent in keeping all the commands of God and not count our trials here too much to gaine such a prize—Mother, I believe it is the will of God for me to go to the west and have been convinced that it has been for a long time–now the way has opened and you seam to be reconciled to it which is the greatest consolation to me of any thing earthly; I believe that it is the spirit of the Lord that has done it which is sufficient for all thing–O be not anxious for your child the Lord will comfort me. I believe that the Lord will take care of me and give me that which is for the best–If it is the best for me to go there and lay down this body I think I feel willing and what matter is it where this body lays untill the resurrection when I hope and trust that we shall all rise Above all the trials of this life. Let it not be to you as though I had done some crime and was obliged to leave my home which would be far worse if I know my hart I can say I go because my Master calls–he has made my duty plain; Believe not that all these things are against you for they are not, although the ways of Providence seem dark; I shall come home to see you the first suitable opportunity whither I like or not. I have taken this method of speaking my mind because it seems easier that verbal conversation–I have written already much more than expected, so I must bid you good bye Father & Mother for the present. Brother Fabyan and Sister Rhoda I hope that you will give heed to that light which you have received and walk in it that you may be free. You know not what the Lord can do for you until you give up to him and obey his command. I do know that there is peace in obeying the commands of God, and I truly hope that you will be determined to arise & obey him as he has and will make known his will to you that you may have a right to the tree of light & enter in through the gates into the Citty of life. At the bottom of the letter, in Wilford Woodruff’s own hand, he wrote, “Phebe W. Woodruff to her Parents on leaving home“. I am always amazed to see these artifacts, such as Phebe’s farewell letter, survive through the uncertainties of time. I plan to continue the story of Phebe and Wilford Woodruff in a later column. Reid N. Moon is the owner of Moon’s Rare Books in Provo, Utah. He and his wife Melanie and their four younger children recently moved to Provo and are members of the Edgemont 14th Ward. Enjoyed the article and am looking forward to more historical articles. I am so thrilled for this wonderful find! Phebe was my husband's great great grandmother. A quilt that she made is on the bed in the Wilford Woodruff Home in Nauvoo, where my husband and I served as tour guides in 2001-2.